How durable are human anatomical models for classrooms and patient consultation or examination rooms? 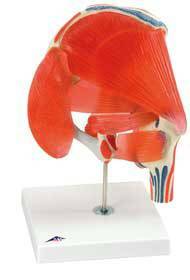 Good quality human anatomical models are made from resin or plastic, and are designed for use in medical health facilities, research institutes and educational settings. The construction of these models are highly durable and very long lasting, even with regular use. The lightweight nature of these anatomy models mean that they are practical, and easy to store on shelves or counters before being moved to patient or student locations. Since the material is a plastic or resin, the color of the model remains constant over time and doesn't fade or chip off with time and use. Models that are designed with removable parts may be slightly less durable than fixed models since removal and application of the parts can cause wear over time. This is a very minimal concern for most teaching environments or patient rooms even with a lot of daily use. What options are available in human anatomical models? There are a wide range of options available in human anatomy models. Some models include full sized representations of the entire human body while other models are designed to show a particular part or organ. There are options for human anatomical models to also show progressive diseases and conditions of different organs and joints in the body. These types of models are often very helpful in patient consultations and discussions. They are also a good teaching tool in upper level human anatomy, pre-med or medical classes. The level of detail and information provided on the human anatomical model is also an option to consider. Highly detailed models for classroom work and research are often the best option. For work with patient the less complicated basic models are practical and straightforward to discuss any related health issue. Look for models that provide information cards that can be used in conjunction with the model. This additional information piece is good for both patient and classroom use. Are there any unique features that help in using human anatomical models in patient treatment? Specialized offices and medical care centers may find that different options in human anatomical models may be more effective in meeting their specific needs. 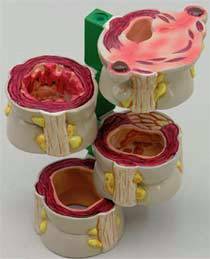 These unique types of models may include larger than life models of the smaller organs of the body. Most commonly this is the eye, ear, nose, and throat area. Very complex parts of the body like the brain, sinus, lungs or heart may have different features to help with easy identification of the body parts. Color coding, clear exterior to allow a view into the organ or even removal exterior parts are all helpful. Looking around at the options available for human anatomical models can help in determining what features are required in different patient care or teaching environments. Typically basic models are ideal for any setting, with more complex and detailed models with additional features most commonly used in advanced level research and teaching.